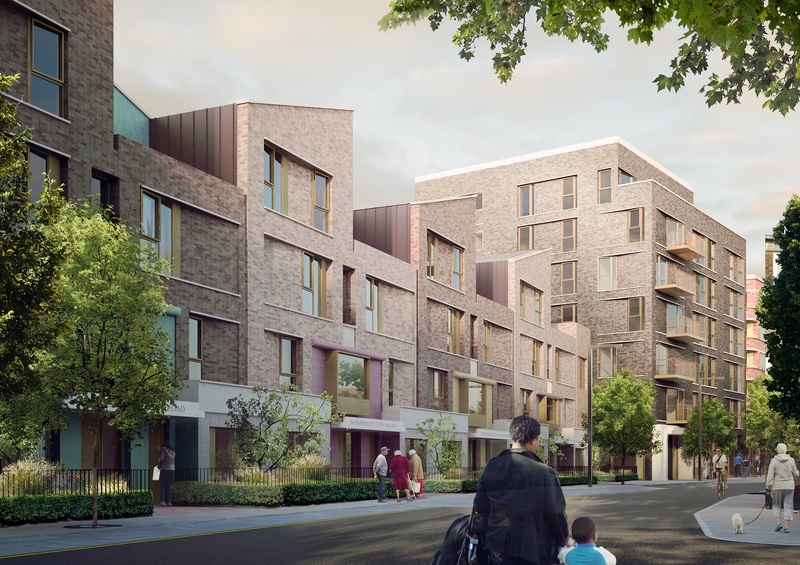 Lambeth Council has appointed igloo as their development manager to lead the delivery of a major mixed-use regeneration scheme at Somerleyton Road, Brixton. The project, currently at post-Planning stage, combines building a purpose built theatre, cultural, creative and community facilities with over 300 homes. Acting as retained development manager to Lambeth (as funder and client) and their community partners (Ovalhouse Theatre and Brixton Green), igloo is providing the development management services to see the project through from initial concept stage to completion – from the selection, appointment and management of the project team (including Metropolitan Workshop as lead designer), the development and evolution of the project brief, community engagement, sustainability and energy strategies and Planning processes, to design management, procurement, tender, contractor selection and construction. 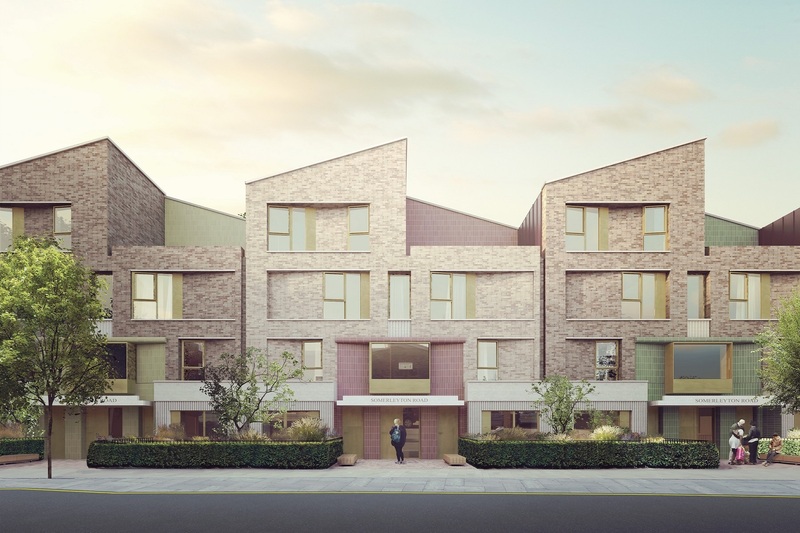 Although conceived as a single masterplan and ultimately forming a single functioning community, the Somerleyton Road development will be formed of six individual blocks. Rather than employ a single architect to design the whole project, igloo has assembled a team of London-based architectural practices to work under the lead design role of Metropolitan Workshop. Each practice will take design responsibility for an individual block, but they will all work together, challenging and sharing ideas along the way. This unusual approach will provide a ‘Coordinated Variety’ to the look and feel of the place when it is finished. The scheme architects appointed by igloo in addition to Metropolitan Workshop are local practice Zac Monroe, Howarth Thompkins, Foster Wilson and Mae. igloo is helping Lambeth Council lead this project as a partnership with Brixton Green (a local community benefit organisation) and the Ovalhouse Theatre. Together they comprise the project Steering Group, and provide client-side leadership at the strategic level, with igloo then managing the detail and delivery on their behalf. 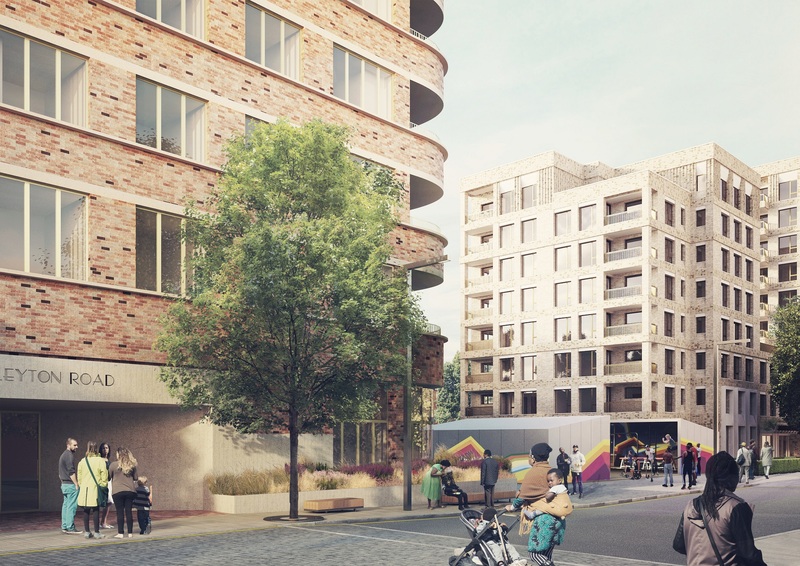 The development will provide a new home for the Ovalhouse Theatre, close to the site of the old Brixton Theatre on Coldharbour Lane which was destroyed by a bomb in the Second World War. 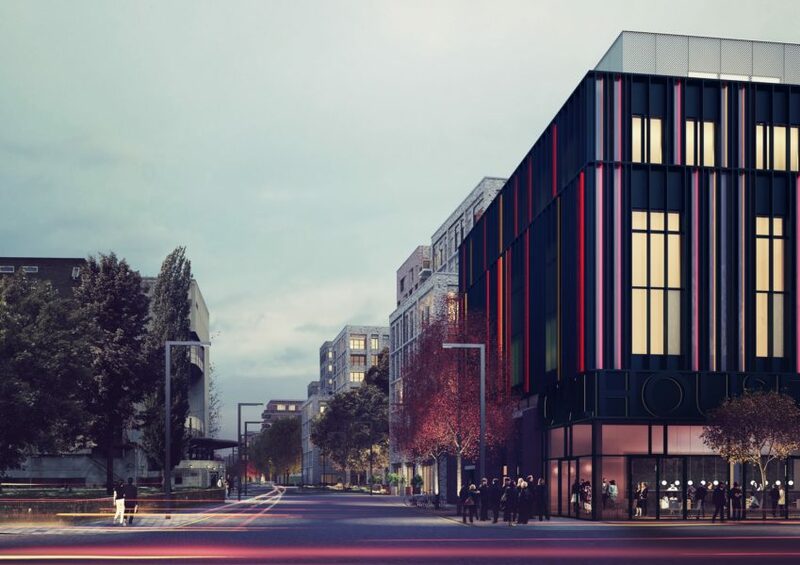 The building will provide two new studio theatres and seven flexible studio spaces capable of hosting a wide range of theatre productions, rehearsals, classes and community events. Ovalhouse theatre, currently based in Oval, has been looking for a suitable site in Brixton for more than eight years. It sees Somerleyton Road as the ideal place for its lively, cutting edge theatre programme and impressive range of arts training and performance opportunities for young people. The theatre will function as part of a cultural and creative hub, with two floors of creative office space above it, and 10,000 sq ft of cultural and creative workspace adjacent in the refurbished Carlton Mansions. Brixton-based Zac Monro Architects lead the refurbishment of locally-listed Carlton Mansions to provide much-needed workspace for Brixton’s creative businesses. The well-known ‘Nuclear Dawn’ mural will be preserved and become a feature at the entrance to the new theatre. A chef training school is planned that will build on Brixton’s reputation as a food destination. There is also space for a nursery, retail and other businesses, as well as a community hub. Public open spaces will create ‘hot spots’ for people to meet and relax, or take part in a range of activities – these include a street gym, a community growing garden, a children’s play area and a multi-purpose space called the ‘Railway Yard’. Landscape architects Gross Max are designing the public realm and landscape.